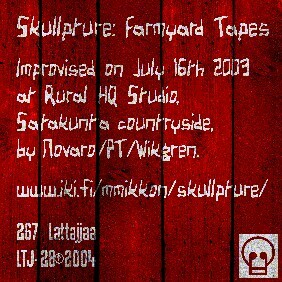 "Farmyard Tapes" is a bit different from other Skullpture recordings. It's not dark and gloomy at all, but warm and almost joyful drone, at least on our scale (it's not that we try to be dark'n'gloomy, that's just the way our music most often comes out - we're happy and funny lads really). 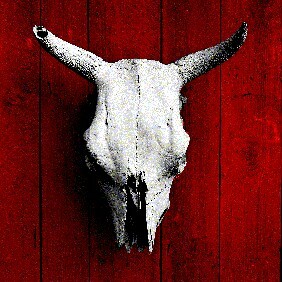 It was also recorded at a different place than our other recordings, in a small shed instead of a large hall with concrete walls, and also with slightly different equipment. These track were originally supposed to be released on a split cdr with another band on another label, but unfortunately that never came about. Anyway, our thanks go to Hannu for the chance to get this music finally available to public, and although not your typical Skullpture, I think it's a fine addition to our discography and your collection.